This book takes a historical-theological approach to understanding the complex relationships among gender, religion, economics and politics in a global context, with particular reference to Islam and Catholicism as two worldwide, culturally diverse and patriarchal religious traditions. 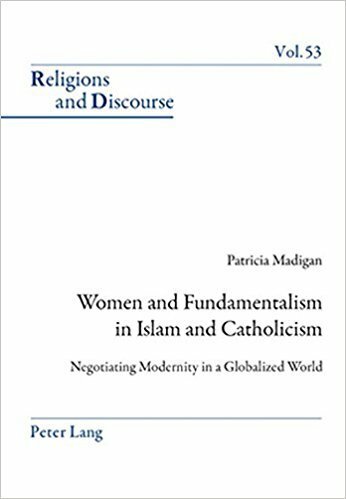 It looks at ways in which Catholic and Muslim women, both within and between their respective traditions, are critiquing fundamentalist theological and cultural positions and reclaiming their rightful place within the life of their religious traditions. In so doing, it argues that they offer to their respective religious communities, and beyond, a holistic way of negotiating the impact of modernity in a globalized world. The final chapter of the book gives voice to some Australian Muslim and Catholic women who, at a local level, reflect many of the overall concerns of women who find themselves at the cutting edge of their respective religious tradition's negotiation of modernity. Madigan, Patricia (Ed. ), “Women and Fundamentalism in Islam and Catholicism,” Curadoria Enap, acesso em 19 de abril de 2019, https://exposicao.enap.gov.br/items/show/59.